I will find the answer. That I would ever let you go? Do you think I'd ever set you free? You will never get away from me! I close my eyes and you disappear! Long as you live, I will still be here! Is the end of a nightmare! All that you are is a dying scream! I shall end this demon's dream! And it will never end! This one is the nightmare that goes on! And I'll flourish long after you're gone! And my silence will hide you! You cannot choose but to lose control. I live deep inside you! Each day you'll feel me devour your soul! As you dance with death! As you breathe your final breath! I'll live inside you forever! With Satan himself by my side! You die in me and I'll be you! And you rot in hell! 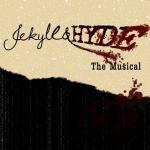 I'll see you there, Jekyll!